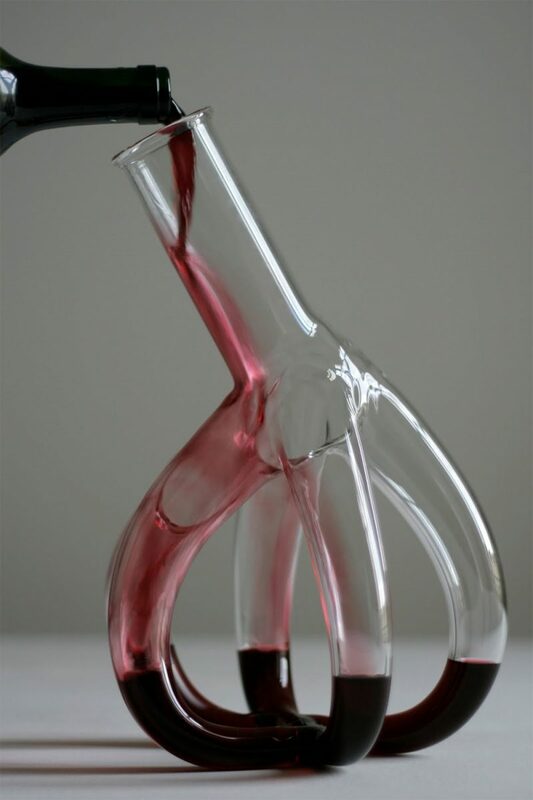 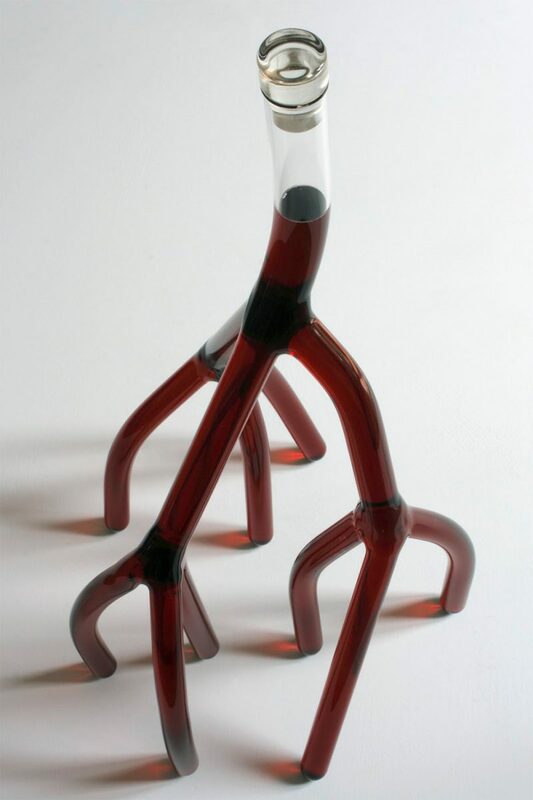 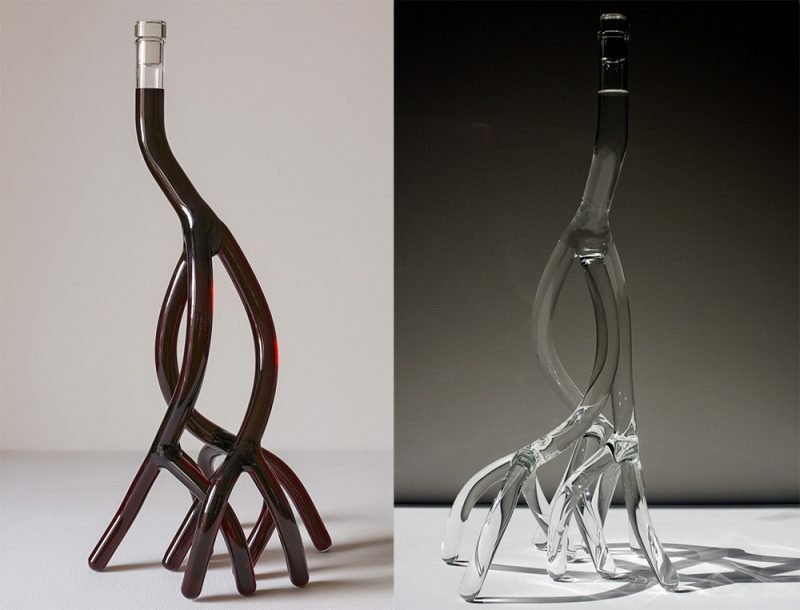 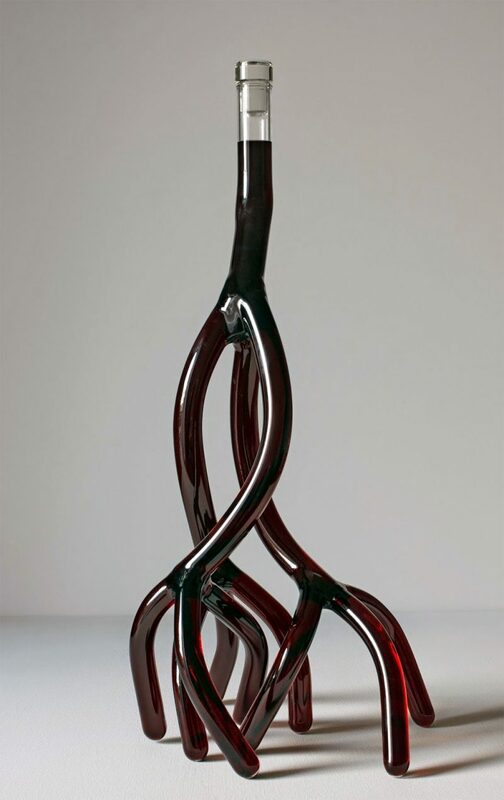 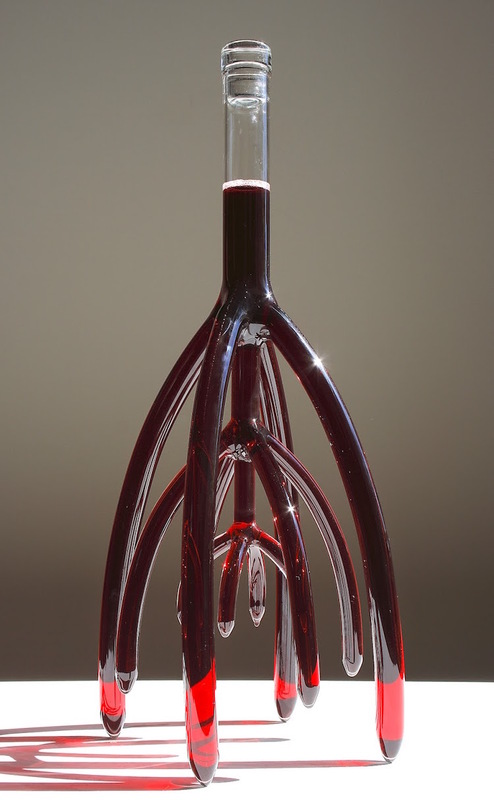 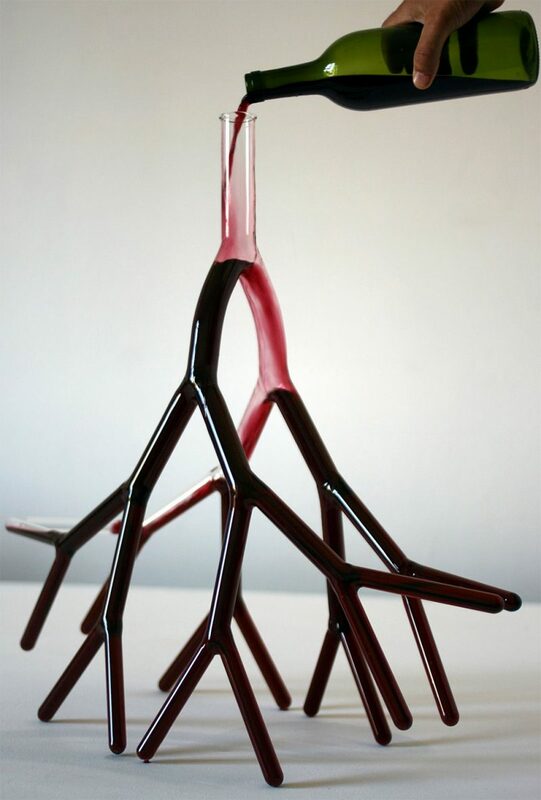 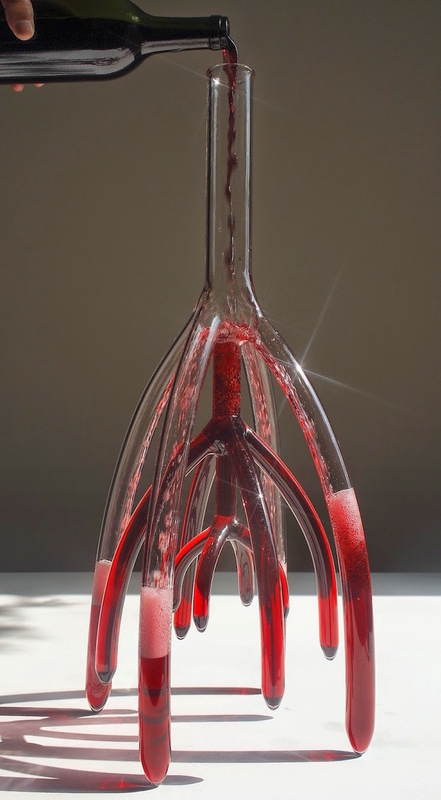 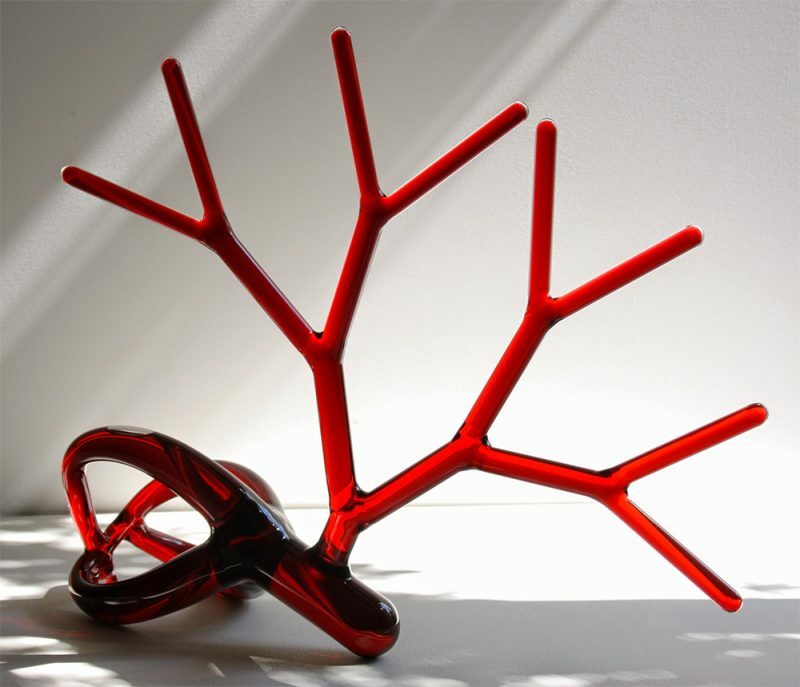 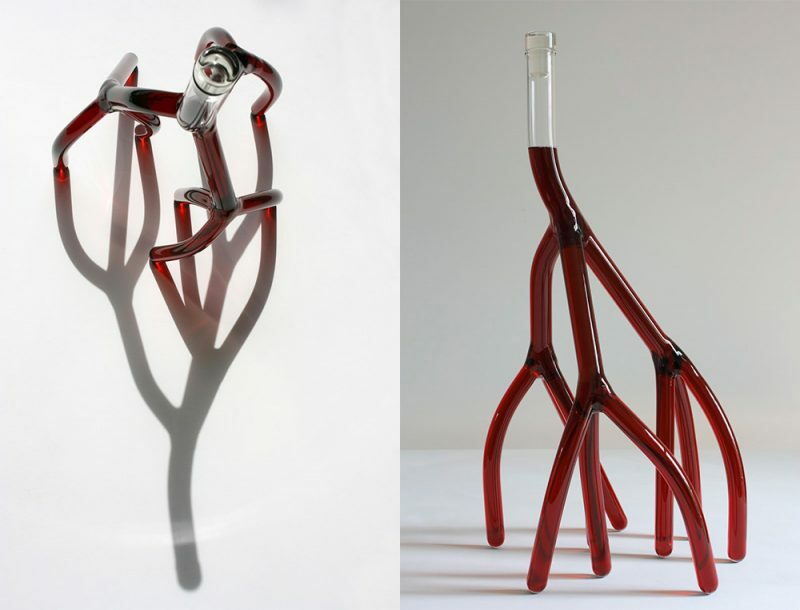 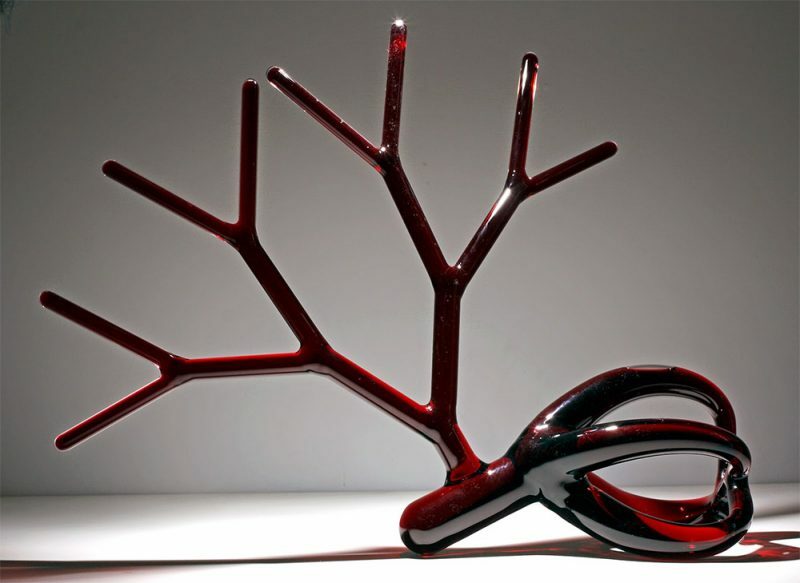 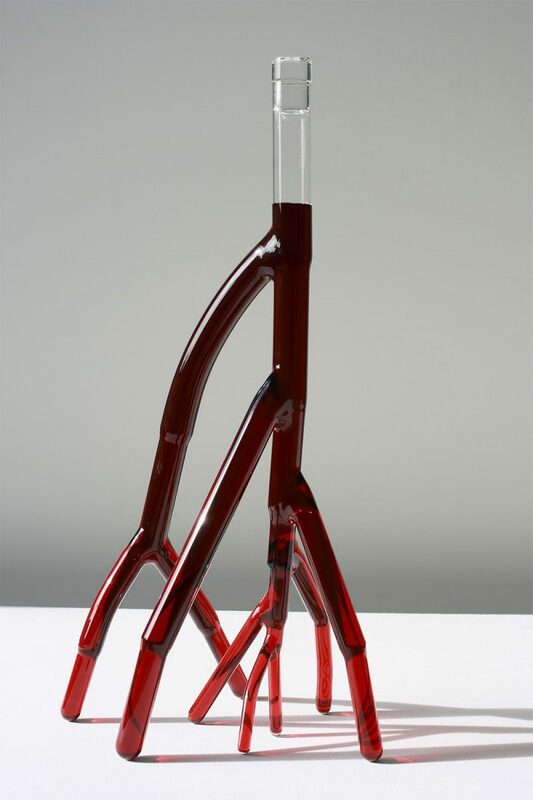 “Strange Carafes” by artist Etienne Meneau is a series of wine receptacles from hand-blown borosilicate glass, inspired by artery-influenced art and plant roots, the artist transforms traditional wine decanter into vein-like forms like blood vessels, hearts, and root systems, “My work turns around geometry and nature. 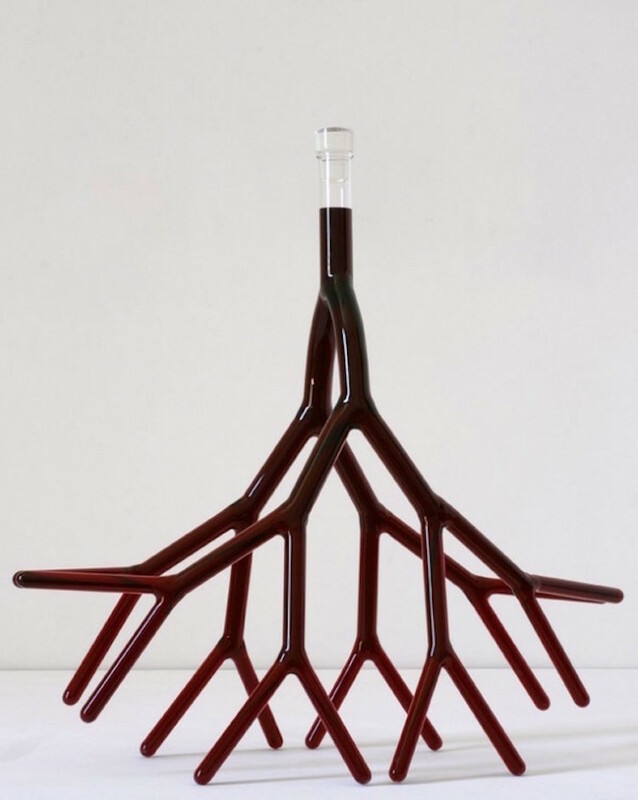 I love to put some flesh on geometrical shapes… that’s why vegetal life interests me… It is a pure living geometry and algebra.” Etienne Meneau said. 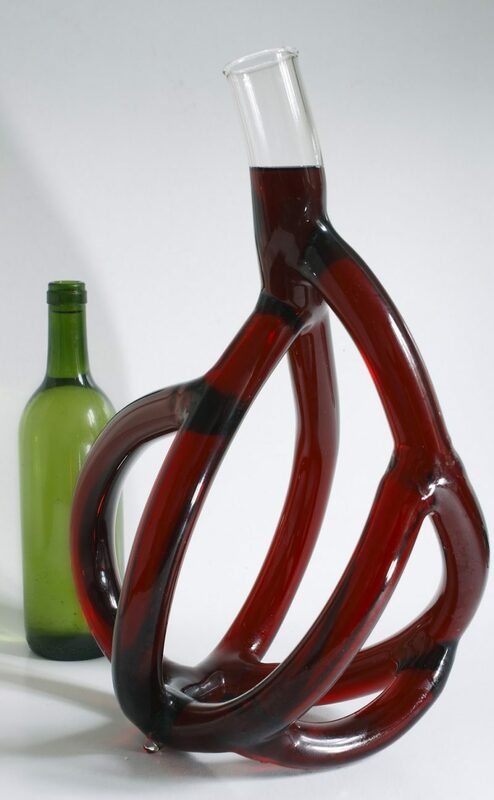 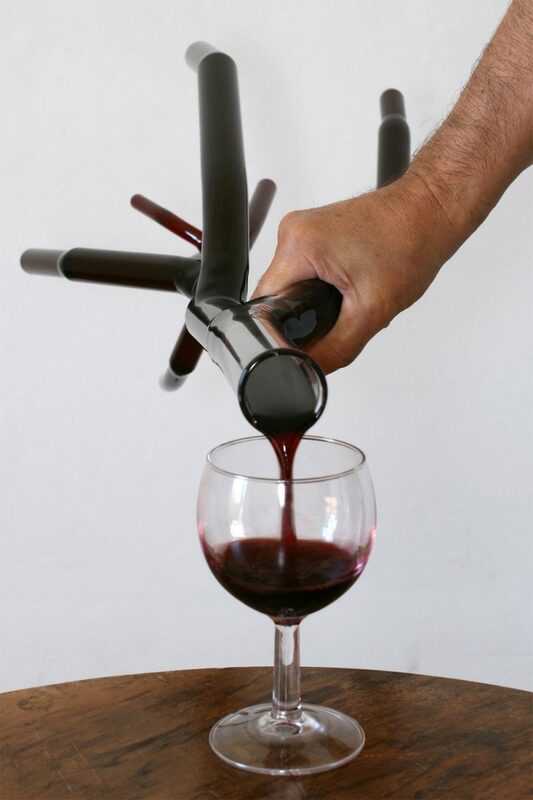 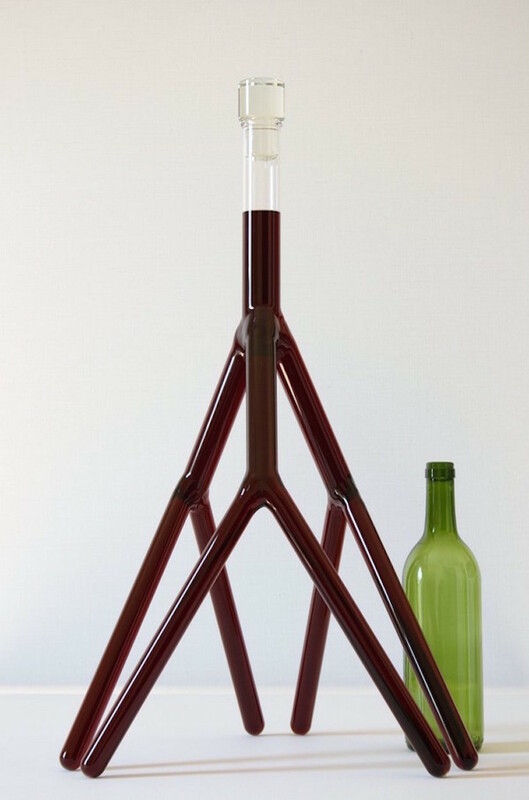 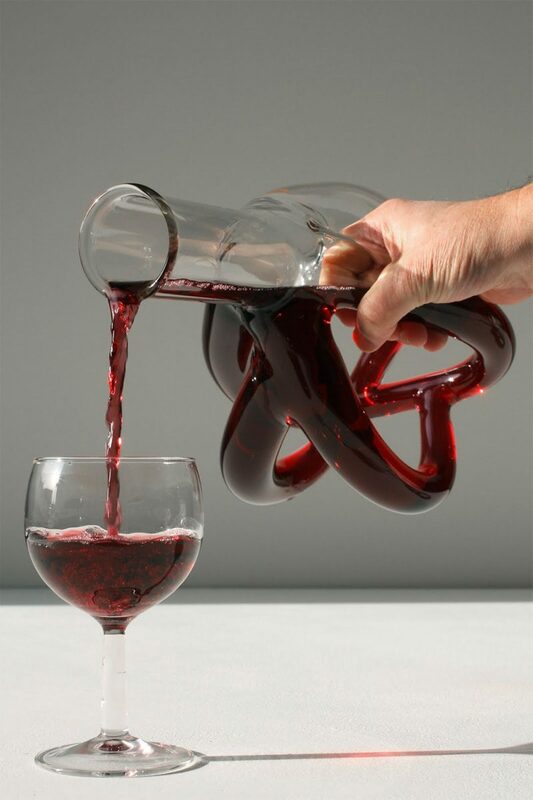 Some of these glass containers are practical carafes that can hold a bottle of wine (750 ml) in the twisting tubes, and others just serve as sculptural pieces with the wine permanently encased within.